Happy Wednesday! I trust you have not lost too much money in this choppy market and that you continue to find my Blog useful. I’ve been in this full-time investment lark for nine months now — and I must admit the last few weeks have been somewhat testing. Sure, I have invested through corrections and bear markets before — but such downturns are far easier to cope with when I could use my regular salary to average down! Now without a salary, I’ve come to appreciate why so many private investors ‘panic sell’. They too are living off their portfolios and wish to preserve their capital… because they do not want to go back to work! All that said, my portfolio of late has not been a total disaster and I think I am still up on the year so far. So finding paid employment is not on the cards just yet! Recent market movements have meant that I have become a little more active with my portfolio. I have top-sliced a few positions in order to free up some cash for reinvestment, and bought a brand-new holding. I mentioned in my previous updates (Q1 and Q2) that I’d decided to publish a portfolio review after every quarter. So here is the recap of my July/August/September activity. I explained why I sold my shares in Pennant International (PEN), Burford Capital (BUR) and SeaEnergy (SEA) in my Q1 review. Looking back, selling PEN and SEA were by far the best decisions I have made during 2015. Indeed, PEN issued a very poor set of interim results this week and admitted its full-year could see profits well below expectations. In a rare display of accurate prophesy, I did think the preceding annual results signalled trouble. I sold at 79p — the price is now 50p. Meanwhile, SEA has been thumped by the oil-sector downturn and its recent interims showed a worrying mix of operating losses and overdraft funding. Luckily I sold at 27p when I became disillusioned with the management. The price is now 5p. True, BUR has rallied nicely to 176p since I sold at 136p. But what’s more important (at least to me) is that I managed to ditch two grenades before they exploded. Successful investment is as much to do with avoiding losers as it is picking winners! Yes, I have acquired a new company for my portfolio. However, I am not going to disclose its identity as I may wish to buy more of the shares. Sorry about that. (EDIT 23 October 2015: Please see my comment at the end of this article for the identity of this TBA investment). What I can disclose is that I’ve made one top-up and three top-slices during the quarter. 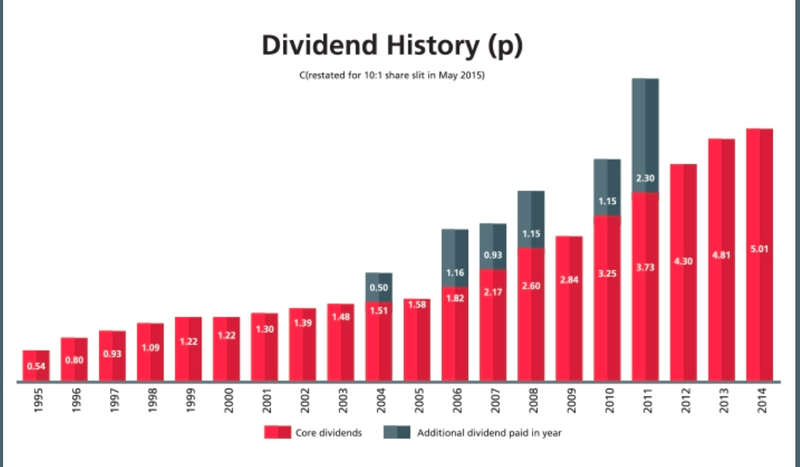 The top-up was Record (REC), where I increased my holding by 18% at 37p in July following an encouraging Q1 update. However, the disappointing news during August of a major client withdrawing $2.8bn from REC’s administration forced me to re-appraise the share’s valuation and prospects. So I sold 26% of my REC holding at 37p during September. I just thought it odd the share price had recovered to where it was before the major client loss — so I happily banked some cash. Elsewhere, I sold 42% of my holding in City of London Investment (CLIG) during September at 335p. Assets under management at this fund manager have dropped considerably during the recent market downturn and my sums suggested the steadfast share price was expecting a prompt recovery. I was not as convinced. Furthermore, I have sold 6% of my Tristel (TSTL) holding at 100p. This medical-wipes business is my largest holding, is valued on a punchy rating and I simply thought it best to bank some profit on a good trading day. Among my other holdings, I have not bought or sold a single share. As usual I have kept tabs on all of my existing holdings — trying to seek out bargain buys just in case. * Nothing from Electronic Data Processing, Mountview Estates and Tristel. I said in my Q2 review that I was a tad nervous about FCCN and Getech (GTC) — with some justification. The former owned up to a terrible half-year performance that was mitigated only by claims that second-half trading had improved. I’ll spare you the full tale of woe (you can read it all here) — suffice to say that, in retrospect, I really should ditched FCCN alongside SEA on the grounds of ineffective management. Oh well. Right now, with FCCN’s shares at 20p and no end of pundits reading the firm the last rites, the contrarian in me reckons it’s probably too late to sell. Indeed, I’d say even with FCCN’s current boss still in charge, the present valuation looks very mean. Meanwhile, GTC remains heavily exposed to the oil and gas sector and I still wonder if it is only a matter of time before a profit alert is issued. However, the group’s latest trading update was surprisingly resilient and the share price does seem to be pricing in some disappointment already. Should I have sold these shares as well? Only time will tell. I said back in June that I had struggled to find decent companies trading at reasonable valuations. While my trawling for suitable watch-list names has drawn only one extra candidate — Castings — I’ve seen far more potential opportunities developing. In particular, I note on my watch list that the shares of Ashmore, Daejan and Goodwin have fallen back during recent months. What’s more, a renowned operator with exposure to the troubled oil sector has started to appear on my radar. …and boasts some very impressive operating-margin, cash-flow and return-on-equity ratios. However, the group’s latest trading update essentially admitted its second-half profits would fall 30% and the 164p shares are now down 45% from their 2013 peak. I don’t think there is obvious value at 164p, but something closer to 120p (equivalent to 12x current EPS forecasts) would really interest me. Anyway, let’s see what happens. I have to say, I really would like to fortify my portfolio with the likes of ROR and other quality names. Well, here’s hoping! Disclosure: Maynard owns shares in Andrews Sykes, City of London Investment, Electronic Data Processing, French Connection, Getech, Mincon, Mountview Estates, Record, Tasty, FW Thorpe, Tristel, M Winkworth and World Careers Network. This entry was posted in My Portfolio on September 30, 2015 by Maynard Paton. The TBA investment is Castings (CGS). Great update Mayn, certainly been a choppy ride for my Portfolio also. Thank goodness for TAST.